Although there will be some visible signs of aging like on skin and hair but it’s totally up to you how you carry yourself. Remember, with the passage of time you start losing some of the volume of your hair, as they become thinner. This article is all about how you can give yourself a new look by choosing the right hair style. Layered bob with flirty layers looks so beautiful with a lot of individual movements. Who would look more elegant than Diane Keaton? So why shouldn’t you copy her. The layers are both long and short so they have some freedom to move around. This looks especially amazing on ladies with a large forehead. This is a very brave hairstyle and only strong women like Angela Basset can nail it. The spikes although takes away the attention from her beautiful face but it also leaves the jaw lines prominent. It is a little tricky to carry and suits only certain types of face cuts with pretty strong features. You also have to keep in mind what makeup you wear and what type of dressing you usually prefer. After all, your hair is an important accessory so be sure how you match them the rest of your style. A small tip for this short hairstyles for women over 50, use a light amount of gel to make those spikes stand out. A short hairstyles for women over 50 with bold and beautiful modern twist. If you aren’t happy with straight short, then try modern take on shag by Jane Fonda. These are the uniform choppy layers framing the face at its best.by slightly flipping layers at the ends, moulding by using light gel, which creates a beautiful texture. We could hardly guess that Dana is 61 years old, thanks to her youngish looking hairstyle. The gentle waves of her hair match those of old Celtic princesses. These are for straight hair and the curls can be achieved by using the curling iron. Only a smart woman like Emma knows how to play with hair.at the graceful age of 58, she has given a side blow to highlight her flip side bang. This look is great for any formal or semi-formal occasions. The former first lady of the US, Michelle Obama trusts in long centre parted bobs. Her hair looks fuller. It is a modern twist to classic bobs. If you don’t like the classic look, just cut some hair from the front or may be give a hue or darker or lighter shades here and there. This style suits Michelle while giving a formal yet modern look. Whether you simply comb or curl, they are easy to handle. The long modern bobs will definitely take some years off your age albeit look-wise. This beautiful hairstyle adopted by Sharon Stone makes her look young and strong. It is one of the all-time favorite hairstyle for modern energetic women and is also used by young ladies. The side soft bang shows off her beautiful forehead, leaving the side of her cheeks bare and just focusing the strong jawline. The contours show off her beautiful apple cheeks. Hence a confident and composed Sharon Stone look. Just a small amount of hairspray and you are a star! This classic hairstyle chosen by Jodie Foster, is absolutely easy to maintain. It looks neat and you don’t have to use any hairspray to make it stay. A perfect style for those with thin hair. You can even give your hair some volume by lifting some hair and back combing a little, while still having no need for a hair spray. This hairstyle is pretty much focused on its length and how neatly the ends are combed and curved. It also gives a chance for your hair to shine because of its length, compared to last two hairstyles. You are in luck if you have natural wavy, curly hair like Michelle Pfeiffer. This haircut gives an oomph factor that only few hairstyles can match. If you are a frequent socialite, then choose this to make an impact anywhere you go! If you are always short of time and want to look anyways, then choose this hairstyle for yourself. It is said that very strong women prefer the short hair. 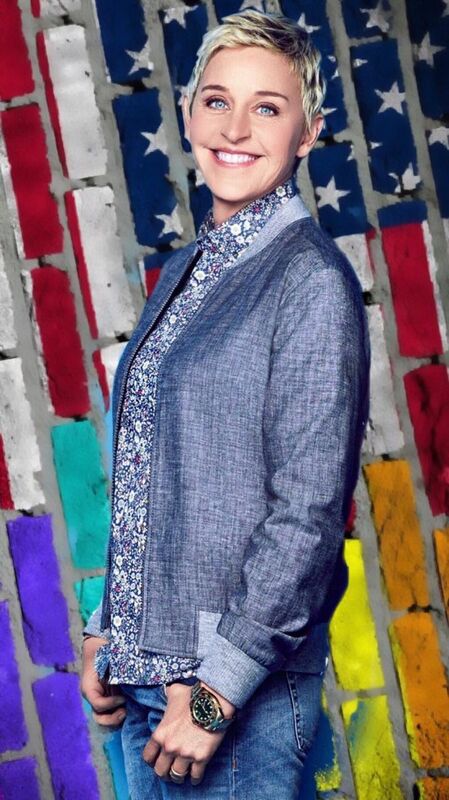 Ellen’s hairstyle surely suits her strong features. This look can be achieved quickly and looks wonderful with glasses. These women have been ruling the TV screens for decades and still are able to wow us every time. You cannot stop your age but by taking good care of your skin and hair, you can glorify your aging process. This article was meant to give you a new perspective on how to change your personality by choosing the best short hairstyles for women over 50 for yourself. Every individual is unique but sometimes it is good to copy the best people around you.